An Officinalis is something belonging in an officina, the storeroom of a monastery where medicines and other substances were kept. Officina is a contraction of the Latin word opificina, from “opus” (work) and “facere” (to do). 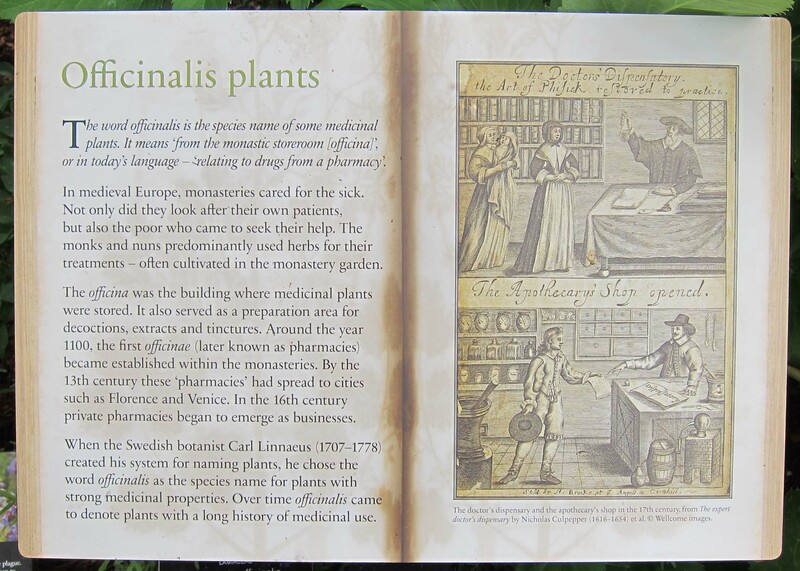 When Carl Linnaeus began use of the two-name system of taxonomy in his 1735 work Systema Naturae, he gave the name “officinalis” to plants with a long-established medicinal, culinary, or other use. Here we will examine beneficial plants, including vegetables, herbs and spices. They are sorted by family, below, and the list is ever-expanding.